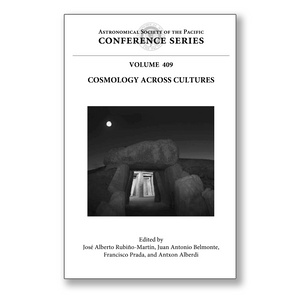 These are the proceedings of "Cosmology across Cultures: An International Conference on the Impact of the Study of the Universe in Human Thinking" organized by the Spanish Institutes of Astrophysics of the Canaries and Andalucía under the patronage of the European Society for Astronomy in Culture (SEAC). The conference hosted in the multicultural historical city of Granada more than 80 participants from all the continents. This conference joined specialists of cultural astronomy studies and modern cosmology in a single forum where ideas about the comprehension of the Universe across time, space, and cultures were interchanged, analyzed, revised, and challenged. An experiment, excellently represented by this book, it worked out in a most satisfactory ambience, permitting both modern cosmologists to receive an insight of how people in the past perceived the cosmos and cultural astronomers to understand the great advances of cosmology in the last few decades and consequently the exact and modest position occupied by humankind in an expanding universe dominated by dark matter and dark energy. The volume is chronologically organized, beginning with modern cosmological studies, followed by historical documentation, and ending with information from archaeological remains. Each section of the book can be studied independently, although a general inspection of the complete volume is recommended to get a correct insight of the spirit of the conference. This book is of interest to any scholar or student wishing to understand the evolution of the human comprehension of the universe.